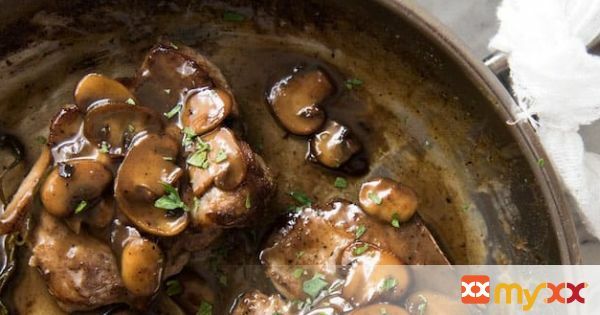 Delicious, juicy pork chops with mushrooms and a honey glaze all prepared in 30 minutes! Try serving over mashed potatoes for a complete meal. 1. Turn Instant Pot to sauté mode. Once the display reads 'hot', add oil and whole spices (cardamom, cloves, black pepper and cumin). Saute for 30 seconds. 2. Add onion and mix well. Saute for 2 minutes covered with glass lid. 3. Add ginger, garlic, turmeric, red chili powder, cumin powder, coriander powder and salt. Mix well. 4. Add chicken, mix well to evenly coat all the spices to the chicken. 5. Add 1/4 cup of water. 6. Close Instant Pot with pressure valve to sealing. Cook on Manual and adjust to high pressure for 8 minutes, followed by 5 minutes of natural pressure release. Quick release the remaining pressure. 7. Open the Instant Pot, add a few spoonfuls of hot curry to the yogurt and mix well. This step is important to avoid the cold yogurt getting split in the curry. 8. Cook on Saute mode to thicken the sauce. Garnish with chopped cilantro. Enjoy!